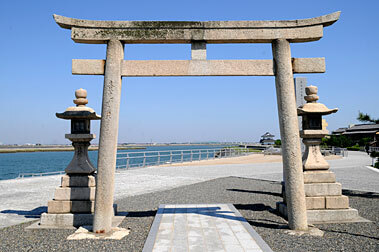 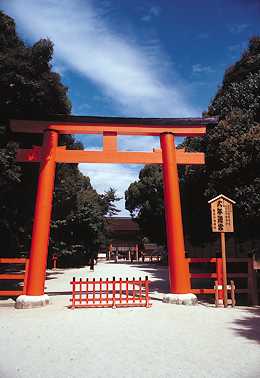 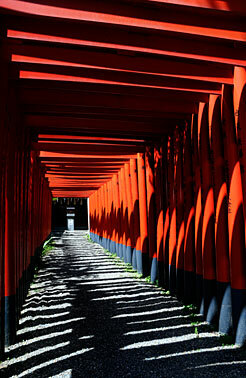 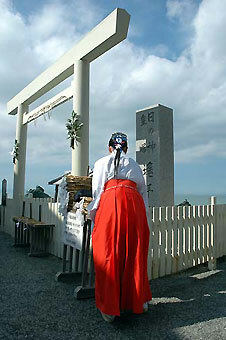 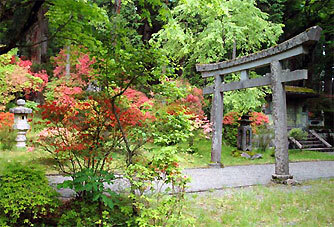 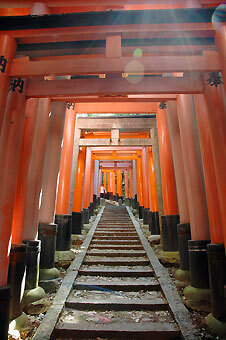 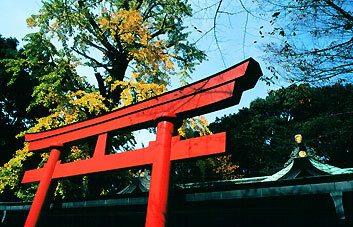 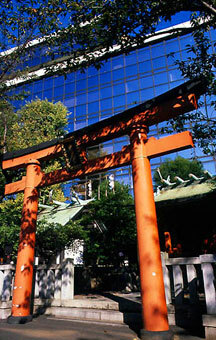 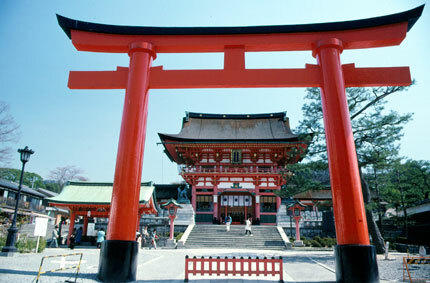 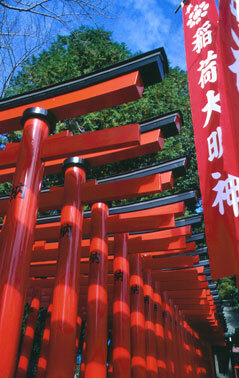 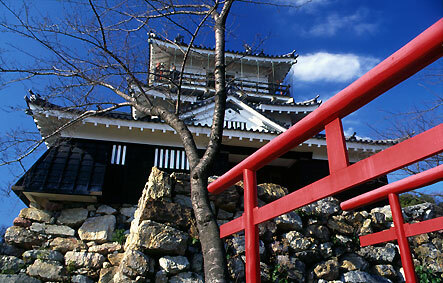 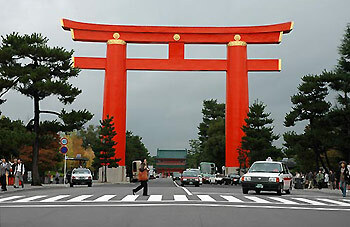 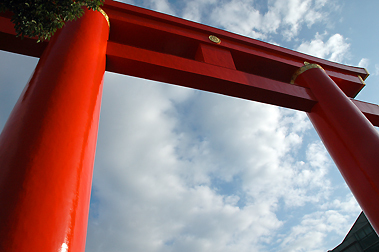 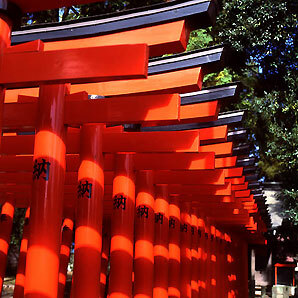 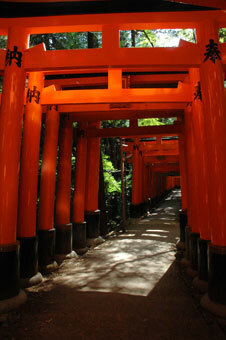 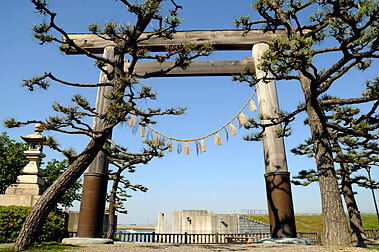 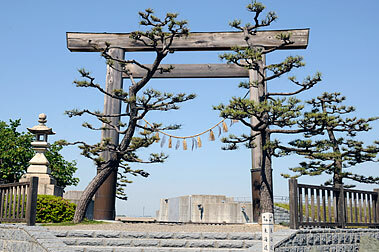 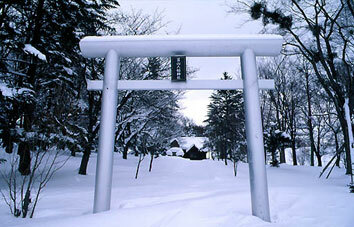 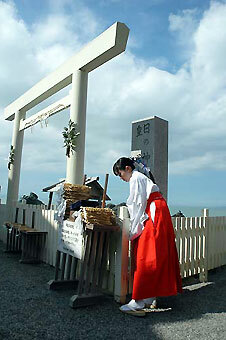 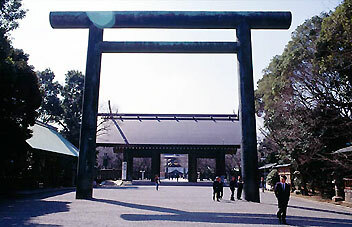 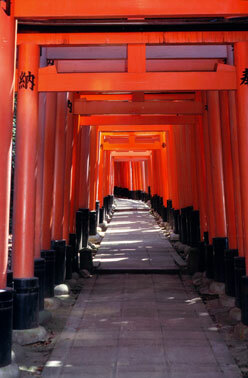 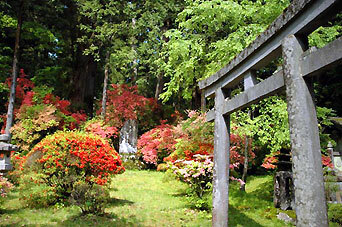 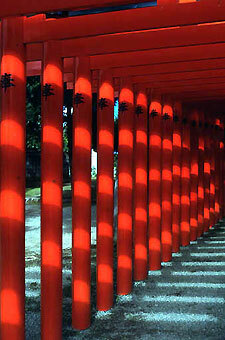 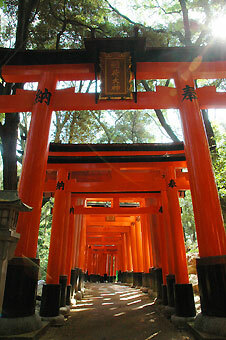 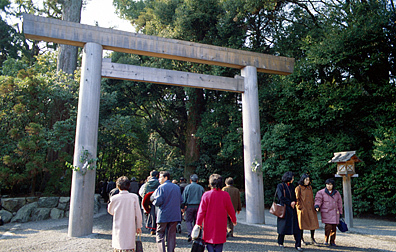 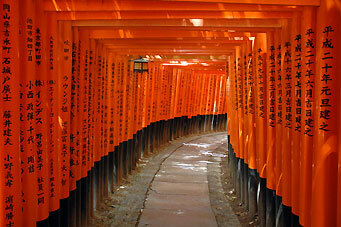 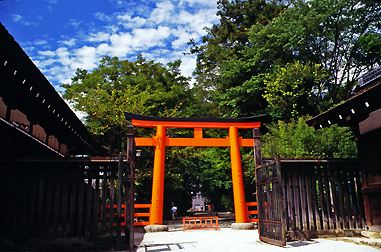 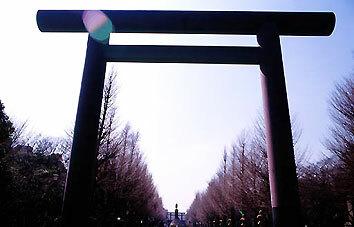 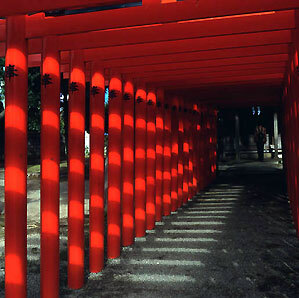 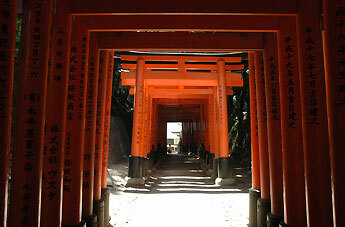 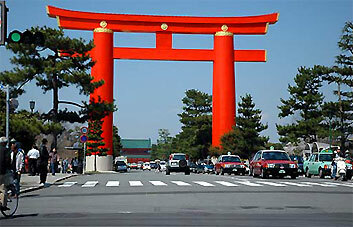 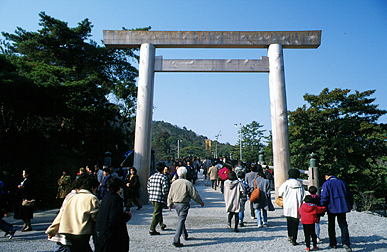 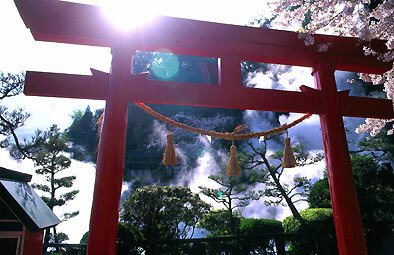 The gate at the entrance or on certain places in the area of a shrine is called a torii. 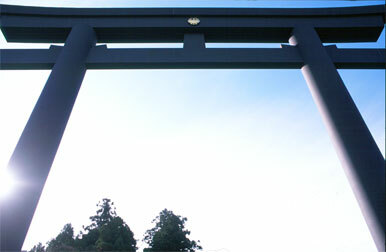 It represents the division between the everyday world and the sacred world and is at the same time the symbol of a Shintô shrine. 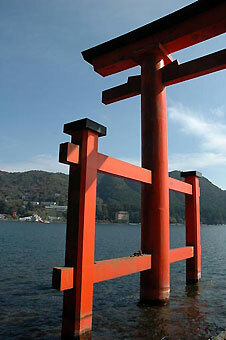 There used to be four styles of constructions - usually made out of wood. 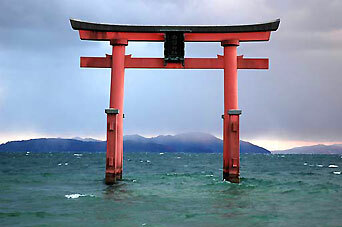 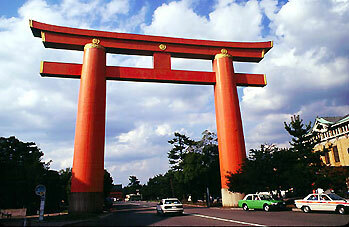 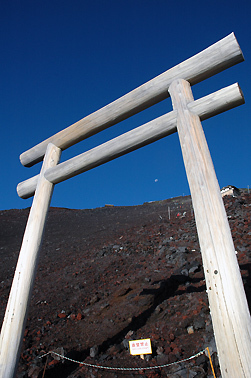 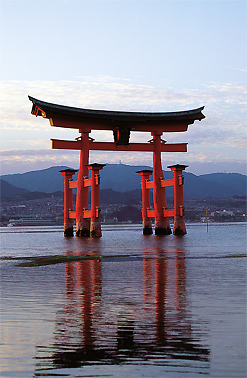 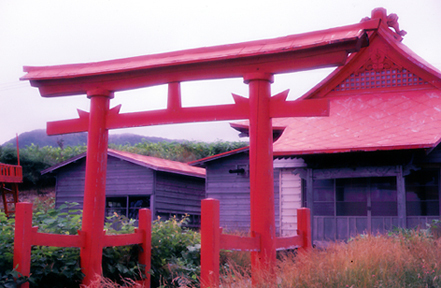 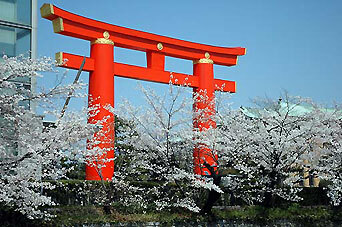 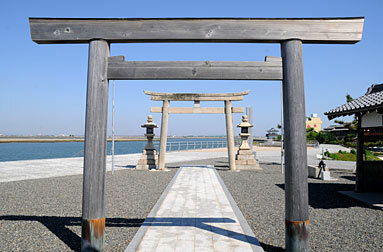 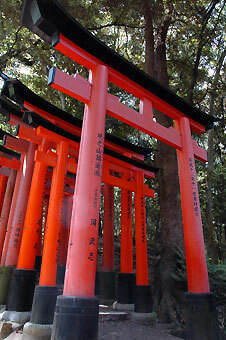 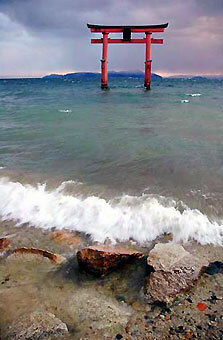 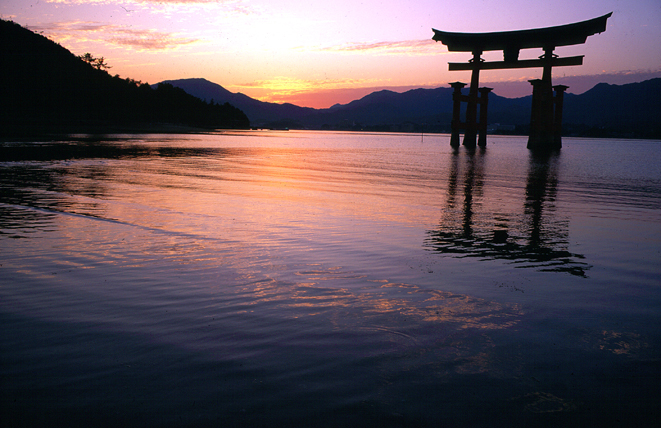 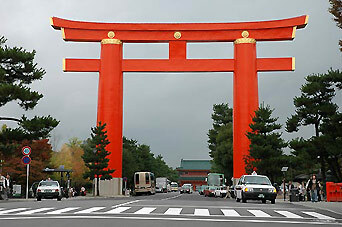 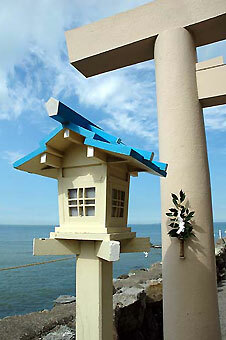 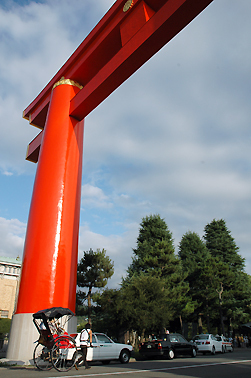 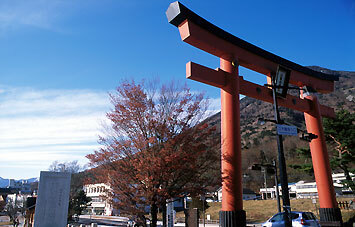 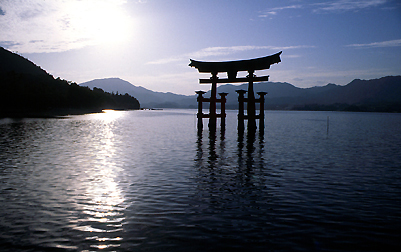 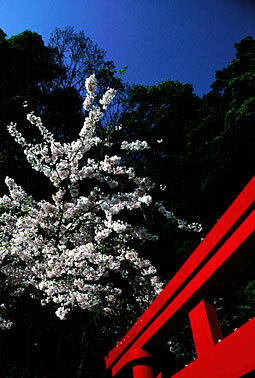 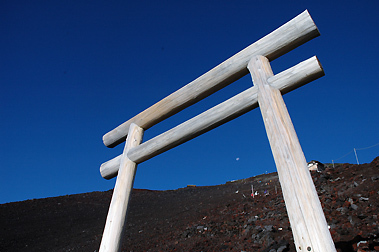 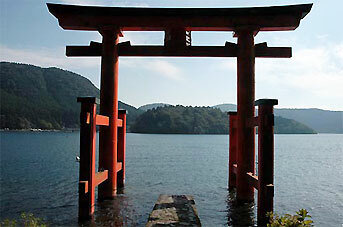 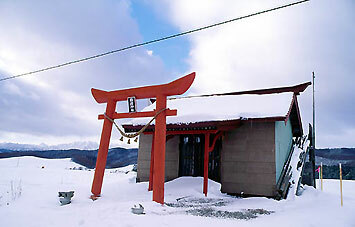 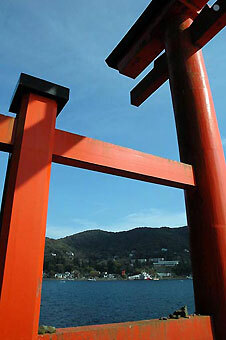 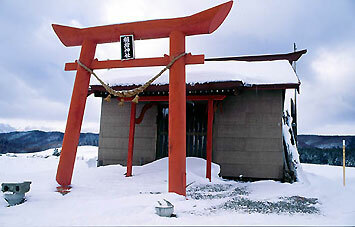 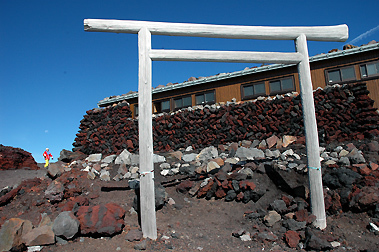 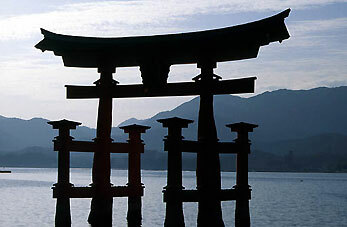 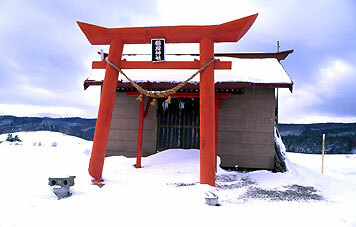 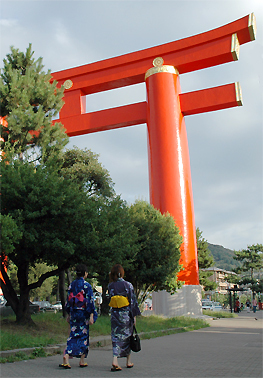 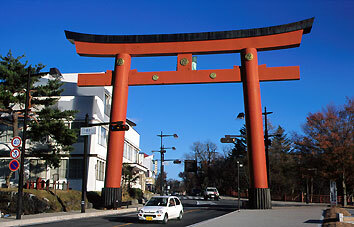 Today there are also torii made of stone, copper or even concrete. 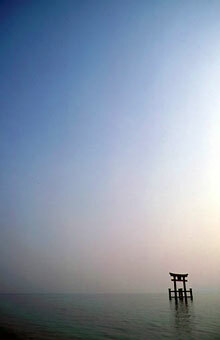 just click on images for LINK !